Parallel factor analysis (PARAFAC) has facilitated an explosion in research connecting the fluorescence properties of dissolved organic matter (DOM) to its functions and biogeochemical cycling in natural and engineered systems. However, the validation of robust PARAFAC models using split-half analysis requires an oft unrealistically large number (hundreds to thousands) of excitation–emission matrices (EEMs), and models with too few components may not adequately describe differences between DOM. This study used self-organizing maps (SOM) and comparing changes in residuals with the effects of adding components to estimate the number of PARAFAC components in DOM from two data sets: MS (110 EEMs from nine leaf leachates and headwaters) and LR (64 EEMs from the Lena River). Clustering by SOM demonstrated that peaks clearly persisted in model residuals after validation by split-half analysis. 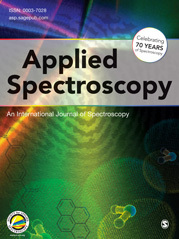 Plotting the changes to residuals was an effective method for visualizing the removal of fluorophore-like fluorescence caused by increasing the number of PARAFAC components. Extracting additional PARAFAC components via residuals analysis increased the proportion of correctly identified size-fractionated leaf leachates from 56.0 ± 0.8 to 75.2 ± 0.9%, and from 51.7 ± 1.4 to 92.9 ± 0.0% for whole leachates. Model overfitting was assessed by considering the correlations between components, and their distributions amongst samples. Advanced residuals analysis improved the ability of PARAFAC to resolve the variation in DOM fluorescence, and presents an enhanced validation approach for assessing the number of components that can be used to supplement the potentially misleading results of split-half analysis.